New species set to evolve? Inflating a tire - the quick way! It Is Time Alberta Takes The Lead! Jen Rutter and Kai Nome announced their engagement in Canmore on Sunday. April 24. They were part of a beauty and muscle pageant held at the Radisson Hotel. and it confirms what we all knew was coming. Alberta’s provincial economy—as measured by the Gross Domestic Product contracted by 5.1% in 2009 (adjusted for inflation). That is the steepest drop for the province in more than a decade. Among the provinces, only resource-rich Saskatchewan (-6.3%) and Newfoundland and Labrador (-10.2%) contracted more. Prince Edward Island was alone among provincial economies that still managed to post growth, albeit modestly, with an expansion of 0.6%. Canada’s total national economy contracted by -2.9%. Alberta’s contraction came in higher than was originally expected. Construction activity plunged 23% after several engineering construction projects were put on hold. Falling oil and gas prices also affected mining exploration, which fell 30%. Western Canada as a region was hit harder in 2009 than central or eastern Canada, reversing the trend toward stronger-than-average growth during most of the past decade. The reason was resource prices, including energy, potash, base metals and forestry products. Saskatchewan, for example, sustained a very large downturn in 2009 largely due to a 50% drop in potash production. Because it accounts for such a large portion of that province’s output, it had a dramatic impact on total output. AltaLink’s new public relations campaign to convince Albertans that major new transmission lines are needed is more than deceptively misleading – it is morally corrupt! In the book, “The Corporation” the author Joel Bakan wrote, “Corporations try to manipulate everything including public opinion. Lacking the legal license to spend shareholders’ money without a reasonable prospect of return, corporations spend money on politics for the same reasons they make other investments: to advance their own and their owners’ financial self-interest.” Balkan writes about the typical stockholder owned corporation and in this regard the managers of the corporation are directly responsible to the stockholders. AltaLink is structured a little bit differently than the typical corporation. AltaLink is a partnership that is heavily regulated, and in a sense AltaLink is not spending stockholder’s money. AltaLink is in effect spending the public’s money, because the expenditures are passed on to the public! This is the moral dilemma. As AltaLink spends millions in its public relations campaign, under the premise that major transmission lines are needed for the public’s interest, AltaLink has continually opposed any public participation or right to question the need for the transmission lines. Claiming that new transmission lines are required to provide much needed electricity to Calgary, AltaLink actually objected to the City of Calgary’s participation in the hearing process that determine the public’s need and interest. AltaLink’s hypocrisy doesn’t end with the issue of “Need”. Claiming to be environmentally responsible, AltaLink’s actions reveal otherwise as allegations suggest that AltaLink prefers the utilization of oak access mats that may raise the risk of exposing Alberta’s soil to an aggressive fungal pathogen. Where is the responsibility or accountability? The issue surrounding transmission lines is not whether Albertans need transmission lines. It is the question of what is needed. Evidence suggests that building a transmission grid east to west, to connect Alberta to Manitoba and B.C., will cost less and provide better economic reliability and security to Alberta’s electricity system. Proof that it is in the public’s interest to build transmission lines North to South just does not exist! Neither AltaLink nor Alberta’s Electricity System Operator (AESO) have provided any verifiable proof to the public to support expanding the north south grid! Just ask to see the proof and watch both organizations evade the topic. Denying Albertans an opportunity to question how the public’s money is spent is morally wrong! Given so many cutbacks in other areas, eliminating the public’s right to require proof that a project is needed before expenditures are incurred is a step on the path to corruption. Spending, in effect, the public’s money to convince the public that major transmission lines are needed, in the absence of transparent proof, is morally corrupt! Global warming? Global cooling? Are we going to warm up or chill down in Alberta this summer. Or on the rest of the planet for that matter? The evidence is confusing to say the least: Tropical downpours in Arizona this winter and snow in Florida, as reported by a recently returned local snowbird. There is evidence that we are dealing with a complex phenomenon beyond our predictive ability. The evidence on hand is just too confusing to fit into a neat and simple theory, like global warming or cooling. You can pretty well pick and choose evidence to fit your favorite theory. That said, is it possible to make any kind of prediction as to what to wear this summer? I think so. First, the so called greenhouse gases that we are manifestly emitting into the atmosphere are not causing global warming per se, but they are affecting our atmosphere in ways that tend to melt glaziers. Possibly by altering the filter effect of the atmosphere so as to admit more energy at wavelengths that tend to destroy the ice crystals that make up glaziers. Secondly, Aten, our Lord and master in the sky, also called “the Sun” in our objectifying culture, is literally taking a rest right now with an overall reduced energy output. 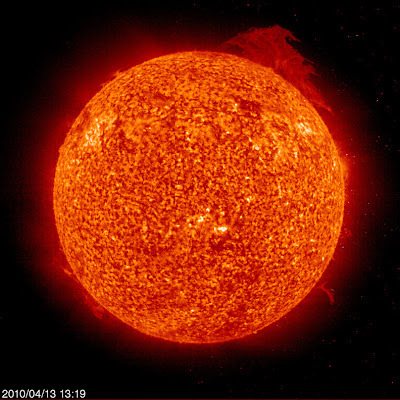 In fact, he is now about two years late in starting another 11 year (or so) sunspot cycle which involves increased energy emissions that tends to warm up the room inside the heliosphere that protects the planetary space in our solar system from harmful cosmic radiation. I think that the above evidence tends to dispense with the idea of imminent global warming. On the contrary, the space around Aten is cooling down just like the room in a house will do when the central heating source is turned down. 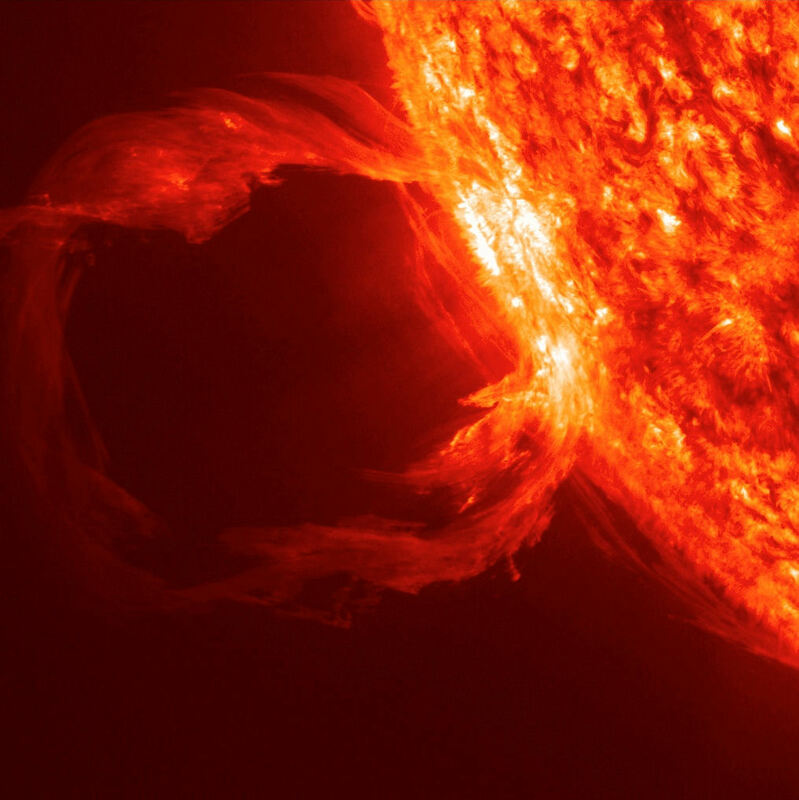 The complicating factor is the changing nature of Earth’s atmosphere while this is going on. And the whole notion of “climate change” is semantic fiction. One cannot speak meaningfully about climate without dealing with a very long time span. A far more accurate term is “weather change” and the evidence is very supportive of this notion. So, back to the original question, I think it is likely that we here in Alberta, and folks elsewhere in the northern hemisphere, will spend less time in a swimsuit this summer than in previous years. Teacher Kirsten Collison, with the help of Junior/Senior High students, demonstrated and discussed various kinds of bullying behaviors to elementary students in the Caroline School gym on Wednesday, April 14. The students were actively engaged in the exercise which deals with a very real problem in conmtemporary society. These Senior High students showed one way to put down somebody else, by holding your nose while being focused on the person involved. The elementary students watching pointed out what was wrong with this behavior. On December 19, 2007 the CEO of TransCanada was asked whether he expected public opinion in Alberta to be against the construction of new facilities - potentially including a nuclear plant - that would produce power for export into the United States. "That kind of thinking is very short-sighted and ill-founded," he said. I have been reading some interesting European early history recently. About the various Germanic tribes in the fourth and fifth centuries A.D. roaming back and forth across the northern boundaries of the Roman Empire, and even laying siege to Rome itself at one point. They ravaged the countryside and towns and took what gold and silver they could lay their hands on wherever they went. However, the enemy that beat them and invariably brought them to the Roman negotiating table was a lack of food. All the gold and silver in world was of no use to the starving barbarians after they had emptied the granaries of their victims. There is an important lesson here for us, so called “modern” people. Like the barbarians, we tend to forget that gold and silver, or their modern equivalent called “money”, is only one side of real wealth, which includes an ample supply of food. In fact, money as we know it is given value solely by what it can legally give access to, like food, lodging, transportation, etc. The volcanic eruption in Iceland brings this point home at the present time: Money will not buy you a flight across the Atlantic as at the time of writing this article. Far too many of us have lost track of the fact that money is not real wealth. It is simply a claim on real wealth when it is available. That’s what the barbarians found out the hard way when their stomachs began to ache from hunger. And that is what we are finding out when unfettered speculation, polluting our money supply, begins to play havoc with our productive system which is what creates real wealth. The quality and quantity of our money supply is closely linked to the health of our productive system in a modern economy and if we allow private greed to wreck this delicately balanced system, we could easily be faced with the same dilemma our barbarian ancestors had to deal with: Lots of money and no food. Exactly one week after April Fool's Day, Mother Nature pulled her stunt on residents of the west country. Whiteout conditions prevailed in open areas for several hours on Wednesday, April 8. And the chill has prevailed up to and including April 12. The attraction between black soil and gardeners has to remain on ice for a little while longer. The bright edge of the expanding cloud is distinctly displayed in the LASCO C2 field of view in which the Sun (represented by the white circle) is blocked by a central disk. The video clip shows it dispersing over about an eight hours. 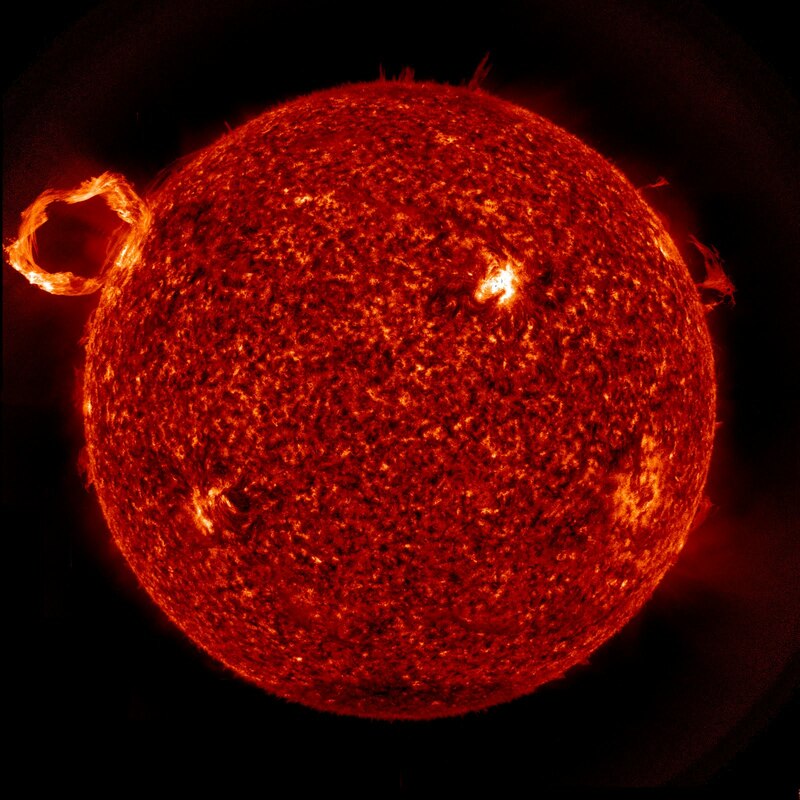 The expanding prominence is the bright stuff in the position of the "filament" of the broader and fainter CME "light bulb." The recent agreement between Presidents Medvedev and Obama to limit the number of nuclear warheads in their arsenals was touted as a great step forwards towards nuclear disarmament by the mainstream media. Both men where hailed as heroes who have the best interests of humankind at heart. Now, for the other side of the story: Both the US and Russia have a surplus of useless and antiquated nuclear warheads that can only be described as a headache for both governments. So, why not make some political hay out of their destruction? They need to be disposed of anyway. Both presidents, being the political animals they are, thought this would be a win-win for everybody and went ahead with the exercise. After all, they both have enough modern warheads to clobber each other, and us, many times over. The troubling and educational component of this exercise is the willingness of the mainstream media to go along and help pull the wool over the eyes of the people of both nations and beyond. And the utter cynicism of the two leaders in playing their little game set up by their respective strategic advisers. We should also be troubled by the unquestioning acceptance of this kind of “information” by the general population. It goes to show you how easy it is to lead the majority of people by the nose if you control the information fed to them in their daily dose of “news”. Meanwhile, most North Koreans live in abject poverty next door to their southern brothers and sisters that have a booming industrial economy. The main difference between the two nations, the public mindset, dramatically demonstrates the importance of this factor in shaping a nation. And, as noted above, we regrettably are only too willing to be led by the nose down the garden path without bothering to question the motives of those that lead us. History provides a crystal clear answer to such a question: The leader and his tribe will always benefit at the expense of the followers. with new spring flowers. All is well on the banks of Phyllis Lake. These Easter weekend campers at Phyllis Lake enjoyed some late season ice fishing during what turned out to be a great spring weekend. With spring on its doorstep, the Caroline community is getting busy again with a School Council meeting on Thursday, April 8, at the school with Minor Ball registration to follow at the complex at 7 pm. The Books for Babies program begins Wednesday, April 14, at 10 am at the Nazarene Church and an Anti Bullying Presentation and Concert will happen at the same time at the complex. The Boys and Girls Club has organized Twoonie Swim sessions at Camp Caroline for the Tuesdays of April 13 and 27 from 5:30 - 7:30 pm. The Shepherd’s Food Bank is open on the same dates between 1 and 3 pm. The 9th annual Small Town Smack Down bull riding event goes on Saturday, April 17 at 7 pm. National Volunteer Week this year runs from April 18 - 24 and a Volunteer Celebration Dessert Night will be held at the Legion Hall on Monday, April 19, at 7 pm. Minor Hockey Awards is on the same night at 6 pm, as is the Senior’s Drop In monthly pot luck supper. On Wednesday, April 21, the annual Cows and Creeks event will be hosted at the complex at noon, followed by a Slow Pitch organizational meeting at 7pm. In addition, regular weekly events go on as always. For details, please pick up a copy of the monthly local “Around Caroline” newsletter available all over Caroline. The big one coming up in May is the annual May Long Weekend Parade on Saturday, May 22, with this year’s theme: “Going for Gold”. Contact Shannon Fagnan on 403-722-4066 (ccoc@telus.net) and enter a float in the parade! Despite the shamrocks and leprechauns, March proved to be anything but lucky for job seekers in Alberta. Last month, the province shed an additional 3,800 jobs (seasonally adjusted), the third month in a row of employment losses. Alberta is the only province where employment currently stands below where it did in July of last year (which marked the worst of the recession at the national level). manufacturing (+4,200), and construction (+1,400). Job losses in March were concentrated in public administration, educational services, and professional and technical services. This morning’s job report is a disappointment for Alberta, which continues to lag the rest of the country in employment. But despite the lousy first quarter, jobs are bound to return as the economy gains momentum in the rest of 2010. 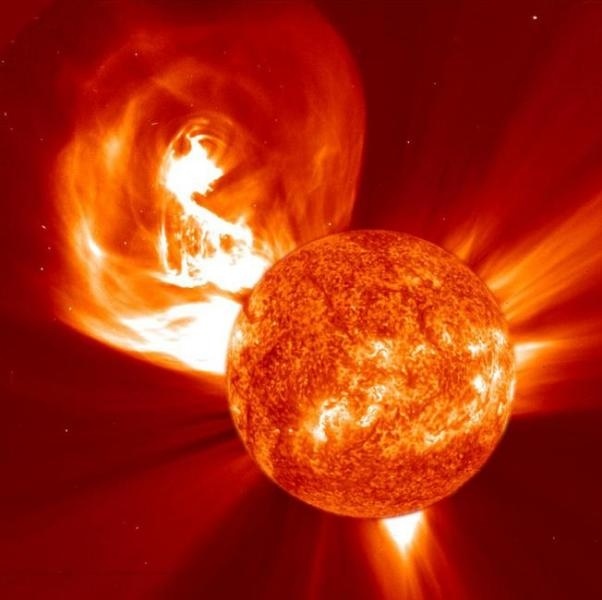 STEREO (Behind) had a nice profile view of spiraling corona loops above an active region after it had just popped off a coronal mass ejection (CME) on April 3, 2010. 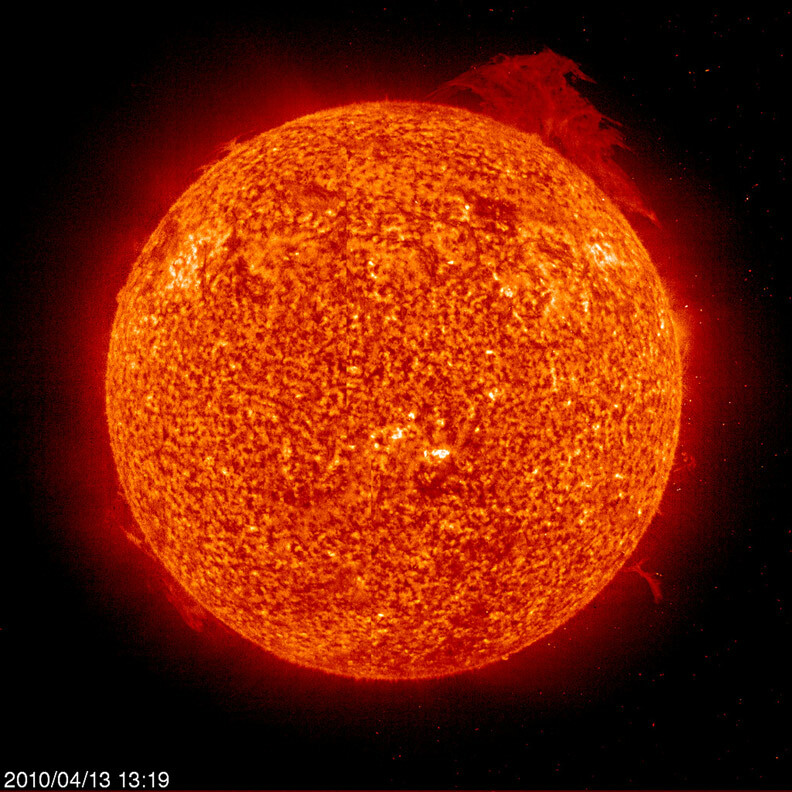 Faint clouds of material from the CME can be seen billowing into space at more than a million miles per hour. 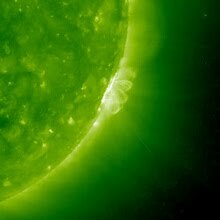 Right afterwards, magnetic forces trying to reorganize themselves generate a series of white arcs visible in extreme UV light. 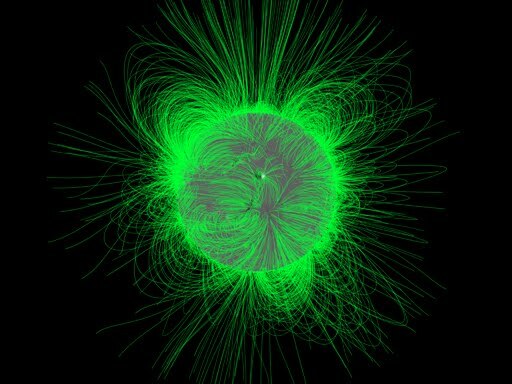 We are observing not the magnetic fields themselves, but electrically charged atoms spiraling along the field lines. The video clip covers one day of activity. Most people have probably heard about the “law of unintended consequences”. I believe this law has proved its worth over the last half century or so, during which time our world has become increasingly bureaucratized. The insistence on having our children seek “higher” education at all costs has resulted in a new class of people emerging whose main claim to fame is the ability to create and interpret a vast range of symbols. How does someone like that meaningfully contribute to the maintenance of themselves and society in general? This is simpler than one might think: These people have collectively, out of sheer necessity, created an exceedingly complex society that needs their skills in order to function. They have created increasingly complex rules and regulations, each one of which has to be implemented and enforced by multiple layers of bureaucracy. Imagine the present complexity of what used to be the horseless carriage: Computers are needed to wind the windows up and down and control just about every functional component in the vehicle, from the engine to the wheels to the position of the seats. And every computer has to be designed, programmed, tested, etc., etc. So all these eggheads have created a need for themselves by making the world more complicated. They have taken over corporations, public and private, and relegated their boards to rubber stamps receiving honoraria for showing up to meetings from time to time. The most aggressive eggheads in the large corporations have given themselves obscene rewards, turning into predators on the public at large. Did we intend for this to happen when we encouraged all children to get a “higher” education? Another unintended consequence of our shortsightedness has been the creation of a crop of professional cheaters: Traditionally, only a relatively small percentage of the population at large has gone on to academic pursuits because most people are patently not inclined that way, or mentally endowed in that direction. Yet, we have forced them to follow this path in order to “succeed”. The inevitable result has been that cheating to succeed has become the norm, rather than the exception. So, pouring out of our universities and centers of “higher learning” are a bunch of accomplished fraudsters that go on to careers in industry, commerce and most of all, finance. The result is entirely predictable. Caroline School hosted this year's school division speak offs for elementary students on Wednesday, March 24, in the school gym. Members of the local community were enlisted to act as judges and timers of the competition which was observed by parents and friends of the speakers, coming from many school across the division.In the first round previously chosen subjects were the focus of each timed presentation with impromptu presentations after lunch. Subjects ranged from Naked Pole Rats to Napoleon Bonaparte, with the Olympics and Billy the Goat interspersed, among many others. A total of 28 children participated, creating a formidable task for the judges. This competition is an initiative of Gerald Kujala, late long serving school trustee and 4H promoter. Josh Park, Grade 6 winner, Drayton Christian School, Casey Cole, Grade 6 runner up, Condor School. Grade 5: Jaylene Schuller, Ecole Rocky Elementary, Wyatt Miller, Breton.